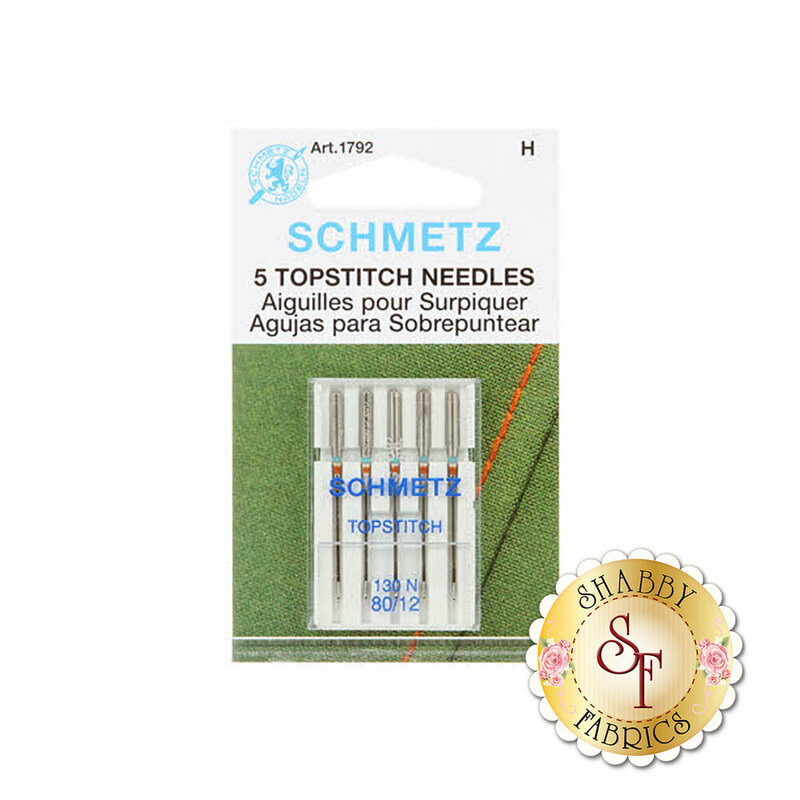 Schmetz Topstitch Needles are great for all kinds of sewing! These needles feature an extra sharp point with an extra large eye and a large groove for topstitch thread. Use these needles with topstitch, heavy, multiple, or poor quality threads! Contains 5 needles per package.